This is a lovely example of classic style. 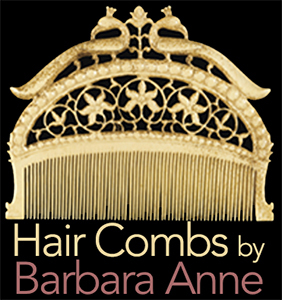 Hair comb pairs like this were also called opera combs. 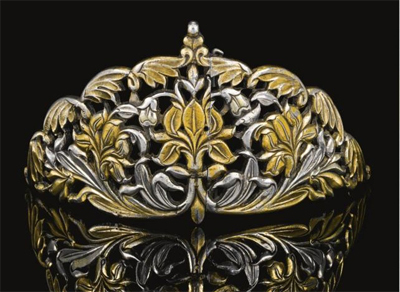 The crowns of these are openwork plaques set with about 1.50 carats of European-cut and rose-cut diamonds atop tortoise shell combs. 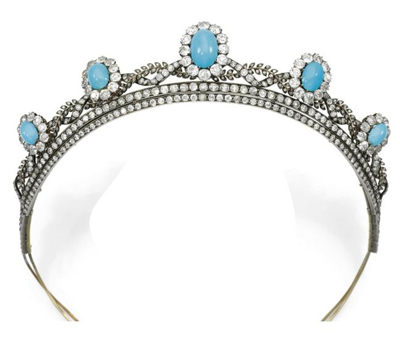 Eighteenth-century India gives us this next tiara in an unusual hinged form. The openwork decoration depicts three lilies surrounded by stems and foliage. 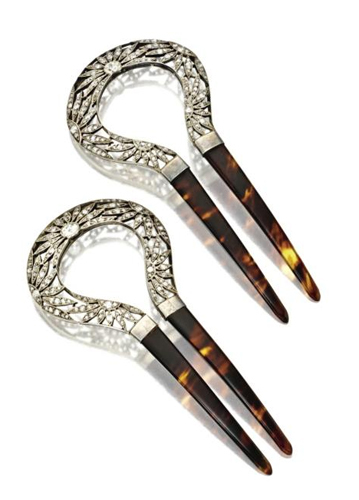 Question: The Opera Combs – I have a couple pairs on this order (“on this order” being open at the top, filigre work attached to tort prongs – not a diamond or semi-precious stone in sight….) and am wondering how they were worn. Dressing a bun? 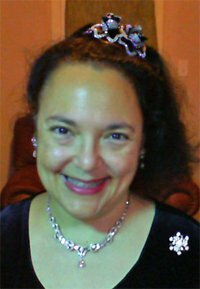 Stuck into an extravagant ‘do? I’ve not seen pics of them “in action,” as I have with other combs. Thanks again, Barbara, for the Monday morning lovelies!